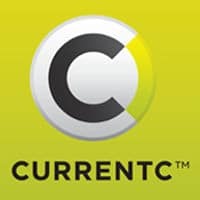 US retailer-led consortium MCX has postponed the nationwide rollout of its CurrentC mobile wallet and has laid off approximately 30 of its employees. The decision was taken in order to “concentrate more heavily” on other aspects of the business, including working alongside JPMorgan Chase to roll out the Chase Pay mobile payments service. The announcement comes as consortium member Walmart began rolling out its own QR code-based Walmart Pay mobile payment service earlier this week. “Utilizing unique feedback from the marketplace and our Columbus pilot, MCX has made a decision to concentrate more heavily in the immediate term on other aspects of our business including working with financial institutions, like our partnership with Chase,” MCX CEO Brian Mooney said in a statement sent to NFC World. “As part of this transition, MCX will postpone a nationwide rollout of its CurrentC application. As MCX has said many times, the mobile payments space is just beginning to take shape — it is early in a long game. MCX’s owner-members remain committed to our future. As a result, MCX will need fewer resources. MCX unveiled CurrentC in September 2014 and added offers and discounts to the service in August 2015. It unveiled plans for the pilot in the same month, when Mooney also revealed that the company was not planning to rush the launch of CurrentC until the product was ready.